Living… the high life on the Upper East Side. Chuck’s father Bart is a self-made billionaire, who owns the New York Palace Hotel where they live. Interests... money and his best friend, Nate Archibald. Chuck shows loyalty exclusively to his lifelong friend Nate and bails him out of whatever mess he’s gotten himself into. Chuck spends his free time partying lavishly and hanging out with Nate. Relationship Status... single, mostly due to self-obsession. Chuck is a big fan of flings, finding it difficult to open up or commit to anyone for an extended period of time. He openly flirts with Nate’s girlfriend, Blair, and the two have obvious chemistry despite their general dislike for one another. Challenge… impressing his cold-hearted father. Chuck may seem tough, but like any kid, he longs for his father’s approval. Being the son of a successful businessman puts a lot of pressure on Chuck, and although he enjoys spending the money his father gives him, Chuck wants to make a name for himself. Personality… sleazy, selfish, and manipulative. 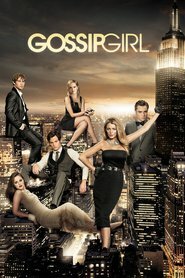 Chuck is seen as the bad boy of the Upper East Side, at times verging on sociopathic. He’s loyal to a select few and completely self-centered otherwise. His deep insecurities lead to his extravagance and insistence on luxury. He’s witty and intelligent but refuses to apply himself to anything other than acquiring social status and enormous wealth. He is the epitome of the entitled and spoiled heir, though he shows signs of a hidden sensitivity. Chuck Bass's popularity ranking on CharacTour is #225 out of 5,000+ characters. See our top-ranked characters and read their profiles.